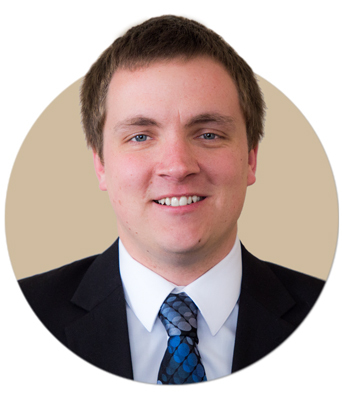 Ryan grew up in Helena and graduated from Carroll College with a degree in Political Science in 2012. Ryan then went to the University of Montana School of Law where he graduated in 2015. While in law school, he was a member of the Montana Law Review eventually becoming an Executive Editor. Ryan also competed on the National Moot Court Team. Ryan’s internships while in law school included the Montana Department of Public Health and Human Services Office of Legal Affairs, Crowley Fleck, and clinical intern for Magistrate Judge Jeremiah Lynch. Upon graduating from law school, Ryan clerked for Judge Ray Dayton in Anaconda, Montana before joining the Keller Law Firm in Helena for a year and a half. Ryan started at E.J. 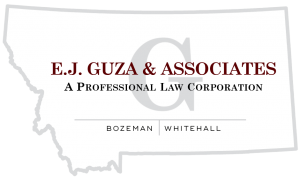 Guza and Associates in February 2018. Ryan is admitted to practice in Montana State Court, and U.S. District Court for the District of Montana. His practice at E.J. and Associates will focus primarily on civil litigation. While not working, Ryan enjoys backpacking, running, hiking, snowboarding, chasing elk, and hanging out with his dog.